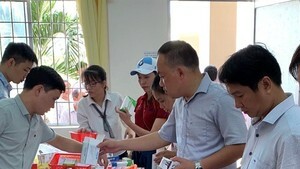 Viet Nam is gradually achieving the Millennium Development Goals (MDGs) on Healthcare, Vietnamese Deputy Health Minister Cao Minh Quang told the 61st International Medical Federation in Geneva. However, like other developing countries, it was struggling to cope with infectious diseases like SARS, and the H5N1A type of bird flu, he said. It needed international financial and technical support to achieve the MDGs by 2015, he said..